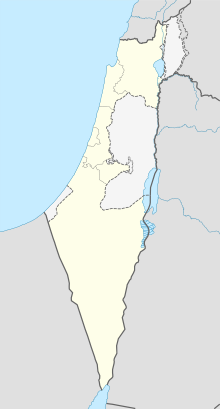 There are six main administrative districts of Israel, known in Hebrew as mehozot (מחוזות; singular: mahoz מָחוֹז) and Arabic as mintaqah and fifteen sub-districts (also referred to as counties) known as nafot (נפות; singular: nafa נָפָה). Each sub-district is further divided into cities, municipalities, and regional councils it contains. Population density by geographic region, sub-district and district (thicker border indicates higher tier). The figures in this article are based on numbers from the Israeli Central Bureau of Statistics and so include all places under Israeli civilian rule including those Israeli-occupied territories where this is the case. Therefore, the Golan sub-district and its four natural regions are included in the number of sub-districts and natural regions even though it is not recognized by the United Nations or the international community as Israeli territory. Similarly, the population figure below for the Jerusalem District was calculated including East Jerusalem whose annexation by Israel is similarly not recognized by the United Nations and the international community. The Judea and Samaria Area, however, is not included in the number of districts and sub-districts as Israel has not applied its civilian jurisdiction in that part of the West Bank. Jerusalem District (Hebrew: מחוז ירושלים, Mehoz Yerushalayim). Northern District (Hebrew: מחוז הצפון, Mehoz HaTzafon). Haifa District (Hebrew: מחוז חיפה, Mehoz Heifa). Central District (מחוז המרכז, Mehoz HaMerkaz). Tel Aviv District (Hebrew: מחוז תל אביב, Mehoz Tel Aviv). Southern District (Hebrew: מחוז הדרום, Mehoz HaDarom). Formerly Hof Aza Regional Council with a population of around 10,000 Israelis was part of this district, but the Israeli communities that constituted it were evacuated when the disengagement plan was implemented in the Gaza Strip. Currently only the Coordination and Liaison Administration operates there. Judea and Samaria Area (Hebrew: אֵזוֹר יְהוּדָה וְשׁוֹמְרוֹן‬, Ezor Yehuda VeShomron). Arab/Bedouin population: 40,000. (excludes Area A and B). The name Judea and Samaria for this geographical area is based on terminology from the Hebrew and other sources relating to ancient Israel and Judah/Judea. The territory has been under Israeli control since the 1967 Six-Day War but not annexed by Israel, pending negotiations regarding its status. It is part of historic Israel, which leads to politically contentious issues. However, it is not recognized as part of the State of Israel by the UN and most nations. ^ a: This district includes areas captured in the 1967 Six-Day War and annexed to Israel in the Jerusalem Law. ^ b: Occupied in the 1967 Six-Day War and internationally unrecognized annexed by Israel's Golan Heights Law. ^ a b c d e f "Localities and Population, by District, Sub-District, Religion and Population Group" (PDF). Israel Central Bureau of Statistics. 2017. p. 2. Retrieved December 24, 2017. ^ a b c d e f Statistical Abstract – Geography (PDF) (Report) (in Hebrew). Israel Central Bureau of Statistics. 2016. p. 15 (PDF p. 9). Retrieved December 24, 2017. Central Bureau of Statistics – detailed breakdown of each district, sub-district, and natural region.